"We will do what we can to take that drone out of the sky and remove that disruption so we can get Gatwick back to normal. One of the options is to use firearms officers if that presents itself — they have been out on the ground today and that's a consideration and a tactical option that's open to us. There are a number of factors in terms of range, the height of the drone and the likely impact on us firing at the drone but that is a tactical option open to the gold commander who will make a decision based on the information available to them at the time", Tingley told reporters. 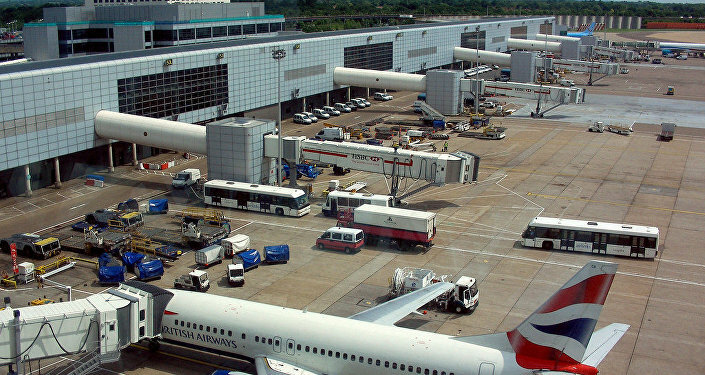 "We are now operating at almost normal runway conditions and the challenge for the airlines, as the result of this disruption, is that their planes are not all in the right place," Chris Woodroofe, Gatwick Airport Chief Operating Officer said. Earlier the airport has reopened its runway and resumed flights after the suspension.